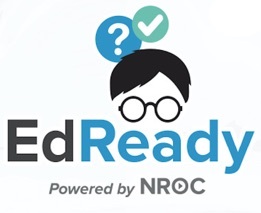 EdReady is designed and maintained by the NROC Project, a non-profit organization founded in 2003 (under the legal name of the Monterey Institute for Technology and Education (MITE)). NROC also provides free educational resources to anyone via Hippocampus, and NROC is supported by a national community of educational organizations and agencies called the NROC Network. Edify, an education-focused software development company, was the lead software development partner for EdReady.